We have been so busy since returning from our Montana trip we have gotten way behind on our “Caddis Reports” but we will try to get caught up as soon as we get a break. 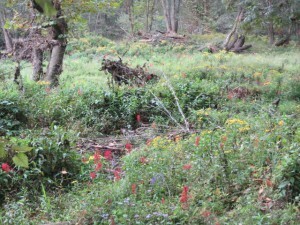 The wild flowers on the river bank are simply beautiful and we are about to really get into the fall fly fishing season. On Wednesday Maria and David, who are from St. Louis, joined us for their first float trip on the Little Red River. Both of these anglers have done quite a bit of Bass fishing with a fly rod but not too much Trout fishing. No matter, they picked up the necessary techniques very quickly. Early morning on the river produced one of the heaviest fog banks we have seen in a long time and it stayed in place for most of the morning which was just wonderful for the fishing. This turned out to be one of the best days of Rainbow fishing of the year. 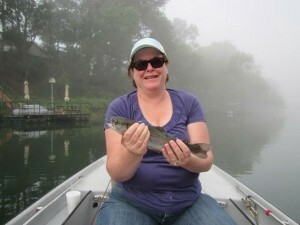 Maria brought three slot Rainbows to the net, one of which was this Toad which took a #16 Tobe fly! 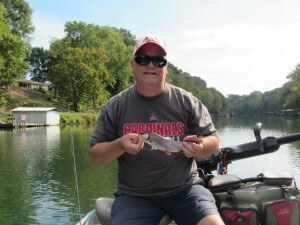 Both anglers stayed on fish all day long on a variety of flys including #16 Born’s Hairy Legged Sowbug, #14 RG/PT Cruiser, and the standard gray Sowbug. 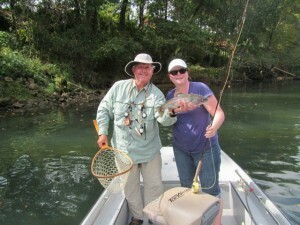 It is shaping up to be a great fall season of fly fishing on all of our rivers here in north central Arkansas. Hope to see you on the river this fall.